I don’t have a medical degree nor do I have any other certified training in nutrition. I guess you could say that I have been self-taught. I have done extensive research on the subject of nutrition and more than that, I have noticed changes, for the better, in my family since we changed our eating. Gone are the daily headaches, stomach aches, and endless bathroom troubles. I have also noticed a huge change in behavior since cutting out artificial colors, especially with my 15-year-old. He is calmer and better able to focus. Besides having this information in my head, I feel that it is important to teach my children about healthy eating, so that I don’t have to be the “food police”. I want them growing up understanding how important their food choices are to their overall health and to be able to tell the difference between healthy food and junk food. Advertising has really clouded reality and it is quite difficult for children (and adults) to tell what is healthy food. If I believed everything I read on the front of food packages, I would be making all kinds of horrendous choices. sections – Fruits, Grains, Protein and Vegetables. The protein section is the smallest which is a nice reminder about portion control. 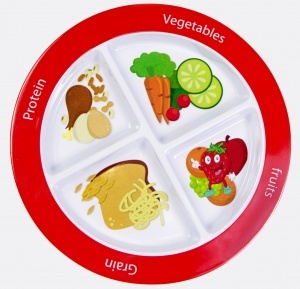 The plate allows me to teach my younger children about nutrition in a fun way. The bright colors and graphics appeal to kids so they love to grab it and put it on the table for dinner each night. As I bring dinner to the table, they ask me where each item goes on their plates. As time goes by, they are thrilled when they know where the food goes on the MyPlate. Now for a reality check……….having the MyPlate doesn’t automatically turn them into Super Healthy Kids, but it does help. I take my youngest and pickiest aside all the time and ask him, what we can put in his vegetable section. He doesn’t eat vegetables………not any. The first time we used the plate, my little guy thought and thought and thought about what we could put in the vegetable section. He couldn’t think of anything he liked, but eventually suggested that it would be OK if I put a green bean on his plate. He didn’t eat much of it. He only tasted it, but just having it on his plate felt like a huge victory for this mom. His tastes will mature with time. I have this dream that he grows up to be my child that eats the most vegetables of any of them. A girl can dream, can’t she? Until then, I have MyPlate to remind him that vegetables are a big part of a healthy diet. His sister does a great job reminding him too. She proudly displays her plate filled with vegetables. I just love to see her feeling so empowered. 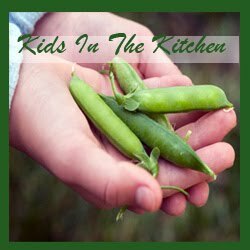 I encourage you to check out the Super Healthy Kids website. 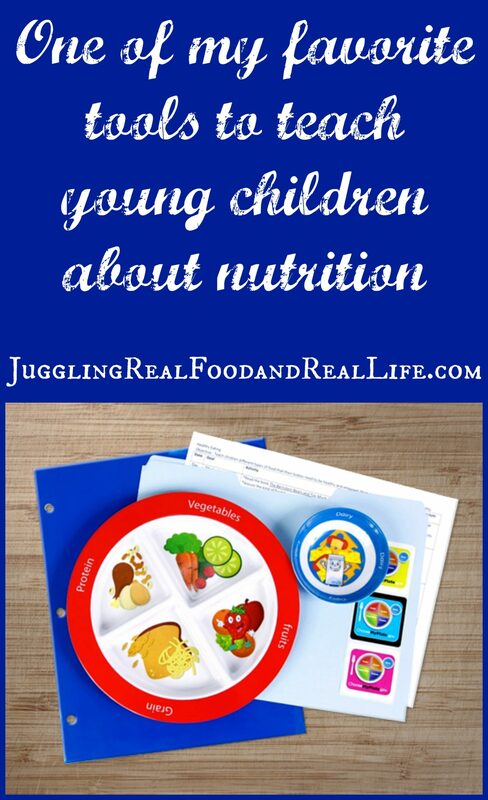 They have lots of great ideas and recipes to use with the MyPlate. If you are interested in the MyPlate or any of their other great items, including meal-plans and a Smoothie Recipe Book, Super Healthy Kids is offering Juggling Real Food and Real Life readers 10% off their purchases. You just need to use coupon code, Juggling247. You can access their site through the button to the right or directly through their website . 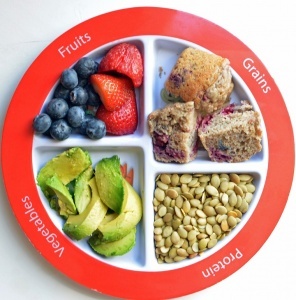 Besides a great visual tool like MyPlate, what else do you do to teach your children about healthy eating? Do you require them to eat certain foods or let them pick what they want to eat? I would love to hear all about your dinnertime rules. Leave me a comment. I love comments! Makes this writing all worth it. Don’t forget you can join us on Facebook for more fun and support along the way. You can also follow us on Twitter @Jugglngrealfood if you are interested in learning more about the Real Food Movement. You can also follow our boards on Pinterest. If at any time, you want to join in on these challenges, you can do so by leaving me a comment below indicating your interest. I would love to know how many adults and how many kids are participating. Disclosure: The only compensation I received to write this review were the products reviewed. Hi Christina, Thank you for sharing this review and product with us during Our Little Family Adventure's Friday Facebook Community Page. Have a great weekend. I like this idea of using the MyPlate. This is an incentive in more than one way. The kids get an opportunity to fix their own plate and at the same time, figure out the amount of servings from each group. I'm always yelling about making sure to eat "vegetables". This would cut down on that. 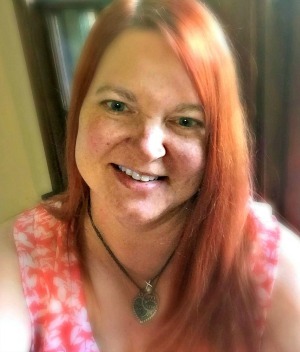 Visiting from http://makeitorfixit.com. Stop by when you get a chance and thanks for being my 100th Facebook Like.